Clearly, there is no specific amount to how much one should save each month — it all depends on your financial goals. But here’s one rule of thumb that you should stick to: At least 20% of your income should go towards your savings. More is fine, but anything less is not advisable. Meanwhile, a maximum of 50% should be dedicated towards necessities such as food and transportation; while the remaining 30% should go towards funding your ‘wants’ such as entertainment and shopping. If you’re new to budgeting, this 50-30-20 rule of thumb can easily help you figure out how much money you need to save. But how many of us actually follow this financial rule? 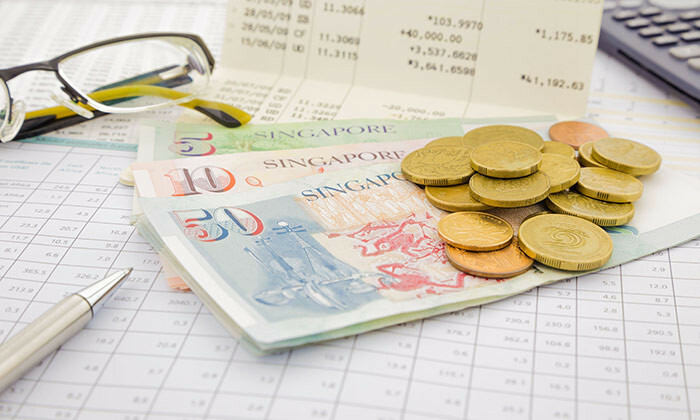 We ask 5 Singaporean workers how much they typically save in a month. How much do you save in a month, and what are your spending habits like? As a marine engineer, I actually work onboard vessels for 8 months and spend the remaining 4 months on land. As I spend most of time onboard, I don’t really have the opportunity to spend my money so saving becomes really easy. I would save around 80% of my salary when I’m working onboard, and the rest goes towards my study loan, insurance plans, family allowance, and savings. But when I’m on leave (four months on land), I actually don’t draw any salary so I really need to budget my expenses. At most, I will splurge on a short holiday with my wife, but I see it as money well-spent as the trip counts as a way to make up for the loss of quality time together. So when did you start saving, and do you think you’re saving enough? I started saving during National Service, when I drew my first ‘salary’. $500 a month wasn’t a lot, so I started saving small and gradually increased this amount when I started on my career. Right now, I’m saving up for the renovation for my upcoming BTO. The house won’t be ready in another two years’ time, but we’ve already worked out the budget and have decided that we’ll design the interior on our own so we can save further. Afterall, a penny saved is a penny earned! I only save about $300 a month right now. It’s not very substantial, but it’s because I already have a solid sum of savings, worth three months of my salary, parked aside as my emergency funds. Right now, my biggest monthly expense is my car. I spend slightly over $1,000 on it every month, so that burns quite a huge hole in my pocket. I started seriously saving when I was 21. I had no financial goal in mind at that time, but I know that I wanted to be financially capable so I can get married and comfortably purchase a house when the time comes. I bought my first house at age 26, and I’m now looking at upgrading to a bigger house because I have two kids now. Beyond the house itself, I also have to spare money for renovation and furnishing as well so I definitely need to increase my savings to at least $500 a month. I save up 40% of my pay. I don’t typically spend a lot on a daily basis — I mainly spend on food and movies. But when I do splurge, it’s to fund my travels! I’ve been diligently saving in my piggy bank since I was a kid, but I only started saving seriously at 22 when I started working. I really love traveling and intend to travel twice a year — one short and long-haul trip. I would probably need about $6,000 a year to fund this though! Apart from this, I’m also looking at applying for a BTO by next year, so I definitely need to save up more. Hopefully half of my salary should suffice! I currently work on a freelance basis, and I save roughly 20% depending on my income intake. I also don’t spend a lot. My expenses mostly revolve around paying bills, food and transportation. I started saving when I was serving National Service. The pay was very small back then, but I still forced myself to set aside savings for rainy days. When I started working at 22, my savings began to grew and I started buying insurance policies to cover my future needs. I also hope to be financially independent — clear my debts, and not have to worry about daily expenses. I’m living hand-to-mouth now, so more money is always better. I also hope that the money in my CPF account can comfortably see me through my retirement years. I used to save the bare minimum of 20%, but as I was planning for my wedding, I had to literally double up and increase my savings to 40%. I also used to impulsively shop for clothes, and spend a lot on Grab rides and dining out. But now, I’ve made it a point to cut down on unnecessary expenses and save as and when I can. I started saving proper at age 21, when I landed my first job. But I got retrenched last year because the company closed down. Losing my job in the midst of preparing my wedding was definitely unsettling as I had to foot my wedding expenses. Thankfully, I had my savings to back me up but it quickly depleted during my 2.5 months of unemployment. Now, most of my wedding expenses are already paid for so I’m focusing on saving up for my upcoming honeymoon and a house instead. With these big-ticket expenses, I’m hoping to ramp up my savings to 60% of my pay. It’s a common misconception that your income level and material possessions define your wealth. But wealth isn’t defined by how much you earn — it’s about how you grow and save your money to meet your changing life needs. The amount to cover financial needs is unique to each person so there’s no clear-cut number, though a safe gauge would be to save 20% of your monthly income, as mentioned earlier. If you’re a high-earner, it’d be wise to keep your expenses low and save a much larger percentage of your income. On the other end of the spectrum, if saving 20% of your salary seems implausible, start smaller instead. Saving something is better than nothing! At the end of the day, your personal saving rate is the biggest factor in helping you to build financial security. The point is to just start saving — no matter how small — and keep at it so the momentum doesn’t get broken. By the end of the year, you could surprise yourself with how much you’re able to save! Looking for a job? Start your search on MyCareersFuture.sg now.